Some parts of the country are still digging out from the recent nor'easter -- and winter is only a few weeks old. With heating costs soaring as the temperatures dip, it's a great time to think about ways to become more energy efficient, which may even include the purchase of home improvements meant to help you stay cozy this winter. Under current law, taxpayers may be eligible for a federal income tax credit for the purchase of a new energy-efficient water heater, air conditioner or furnace. But it doesn't stop there. The credit also applies to such improvements as windows and doors, roofs and insulation. 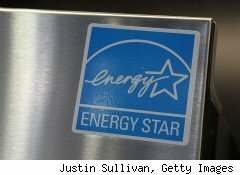 You can find a detailed list of qualifying purchases on the Energy Star website.The credit is equal to 30% of the purchase price, up to a maximum of $1,500. The $1,500 limit is the total credit available for all purchases made last year, in 2009, as well as for this year, in 2010. For purposes of calculating the credit, you should include the cost of the improvement plus the cost of labor related to preparation, assembly, or original installation of the property. Here's how it works: If the cost of a new air conditioning system was $3,000 in 2010, you can claim a credit of $900 (30% of $3,000) on your 2010 federal income tax return. If the system ran $5,000, your credit would be the maximum credit allowed, or $1,500 (30% of $5,000). Purchases over that amount would only qualify for the maximum credit of $1,500. If you've already claimed a partial credit in 2009, you are limited to the maximum credit of $1,500 less any credit already claimed. So, if you bought a new air conditioning system for $3,000 in 2009, your credit would have been $900 in 2009, leaving you a maximum credit of $600 for 2010. Credits are dollar for dollar reductions in your taxes due -- as opposed to deductions, which merely reduce your taxable income. In other words, that $1,500 in credit will offset $1,500 in taxes owed. There are, of course, some restrictions. The improvements must be made to an existing home that qualifies as your principal residence. New construction and rentals do not qualify for the credit. A home is where you lived in 2010 and can include a house, houseboat, mobile home, cooperative apartment, condominium or a manufactured home that conforms to Federal Manufactured Home Construction and Safety Standards. To qualify for the tax credit, your new unit must have been "placed in service" by Dec. 31, 2010. The IRS defines "placed in service" as ready and available for use. In other words, it's not when you bought your new unit but the day that you could actually flip the switch and turn it on. To apply for the credit, you'll fill out a form 5695, Residential Energy Credits. For purposes of taking the credit, you can rely on the manufacturer's certification in writing that a product qualifies for the credit.You don't need to attach the certification to your return, but you should keep it for your records. In addition to the federal income tax credit, some states offer energy tax credits that can be applied toward your state tax liability. You can see a list of states that offer incentives here. It's a win-win in this economy. Sure it's an outlay up front, but if you buy a qualifying improvement, you get the tax credit, and you'll save some money on your electric bill for years to come.